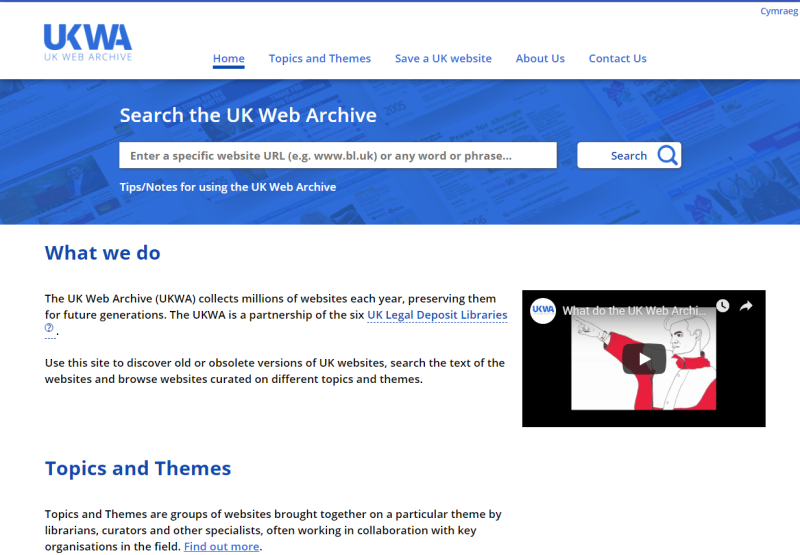 UKWA is a partnership of all the UK Legal Deposit Libraries – The British Library, National Library of Scotland, National Library of Wales, Bodleian Libraries Oxford, Cambridge University Libraries, Trinity College, Dublin. The Legal Deposit Web Archive is available in the reading rooms of all the Libraries. A readers pass for each library is required to gain access to a reading room. At the time of writing, everything that a human (curators and collaborators) has selected since 2005 is searchable. This constitutes many thousands of websites and millions of individual web pages. We will be adding the huge yearly Legal Deposit collections over the coming year – we’ll let you know as they become available. Among the many websites available are the BBC and many newspaper websites such as The Sun, The Daily Mail and The Guardian.